Protest outside Blufin restaurant, Feb. 22. 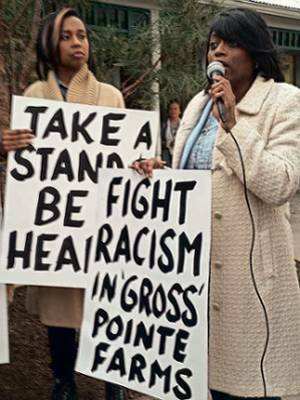 Grosse Pointe Farms, Mich. – When three African-American women went on their monthly social outing on a Saturday evening, they were served up with some ugly racism in the Detroit suburb of Grosse Pointe Farms, Mich.
TaNisha Prater, left, and Adrienne Savage. TaNisha Prater, Adrienne Savage and Kimberly Hudson were dining at the Blufin Sushi restaurant on Feb. 18 when the general manager asked the women to vacate their seats at the bar to accommodate other patrons. The women believe they were singled out because they are Black. The Blufin is located on Mack Avenue just across the street from the Detroit city border. In a courageous act, the women decided to speak up and be heard right then and there. Prater began a Facebook Live video which went viral, receiving close to 85,000 views. The manager could not offer a policy about sitting at the bar, and Prater called her a racist. Then the manager called the police, claiming the women were intoxicated, which they weren’t. 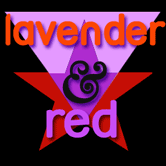 The cops arrived and proceeded to question the women in a way that defended the manager. It was the resolve of the women not to let this racist incident be swept under the rug. Since going public, former employees of Blufin have come forward, stating the racism they experienced or witnessed by Blufin management. With the support of the Michigan Emergency Committee Against War & Injustice, the Moratorium Now Coalition, the Michigan People’s Defense Network, Workers World Party and others, Prater and the other women called a demonstration outside the Blufin on Feb. 22, during the evening rush hour. Some 150 people of various ages and nationalities came out to denounce Blufin’s racism and show their solidarity with the women and all those facing racist attacks. The local corporate media have promoted the Blufin owner’s claims that the women’s version of events was not accurate. 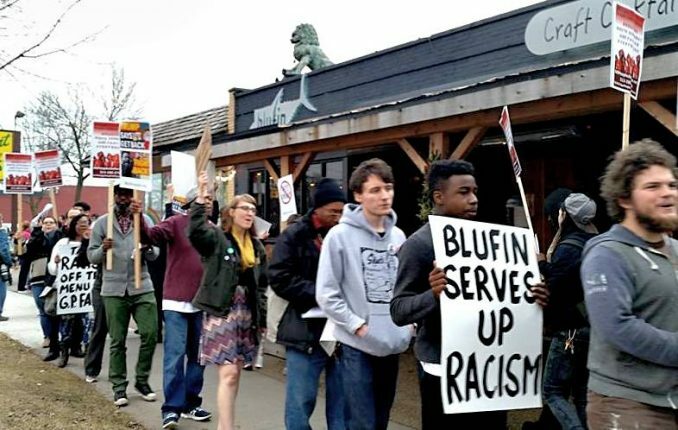 People are asked to boycott the Blufin and other establishments in the Grosse Pointe communities until a resolution is announced.